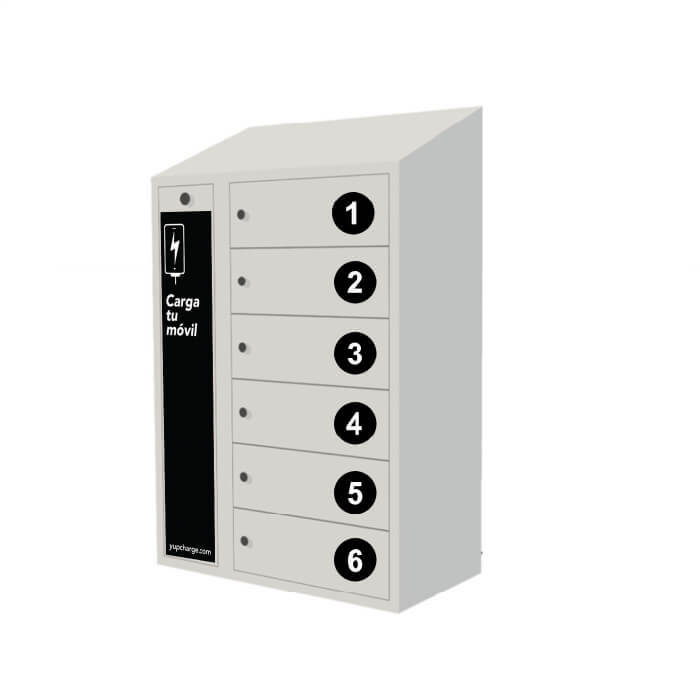 PopMini charging lockers offer 6 secure charging slots for smartphones and other devices. Incorporates in each of its lockers exclusive 3n1 Strong-Kevlar anti-hacking cables compatible with all mobile phones on the market. 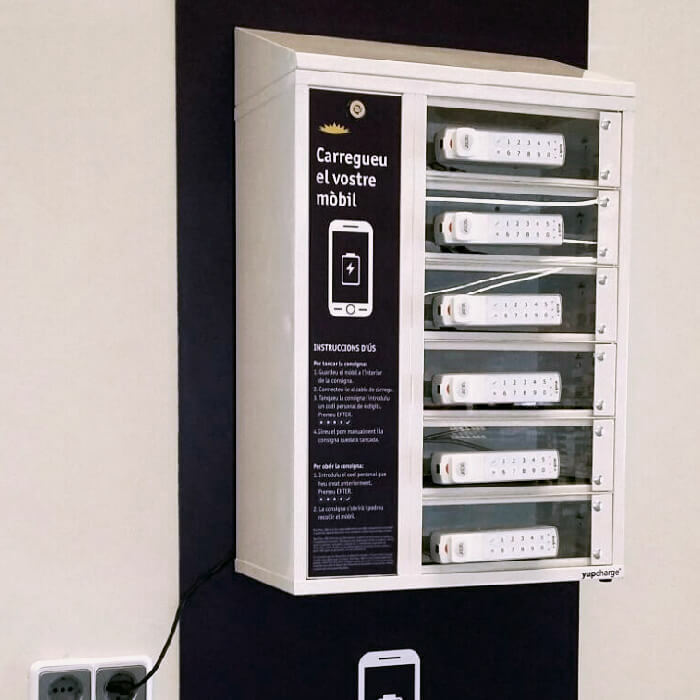 PopMini model mobile chargers are manufactured with robust, resistant and safe materials. 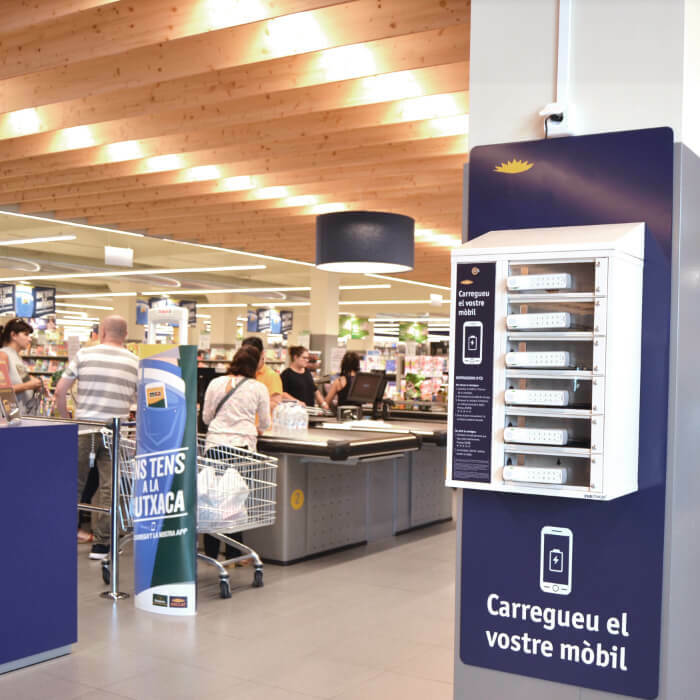 This charging station is specially indicated to offer a safe charger service to users in all types of establishments and places with a lot of people, such as shopping centers, gyms, restaurants or events and congresses. PopMini standard model offers metal doors and lock through traditional key. 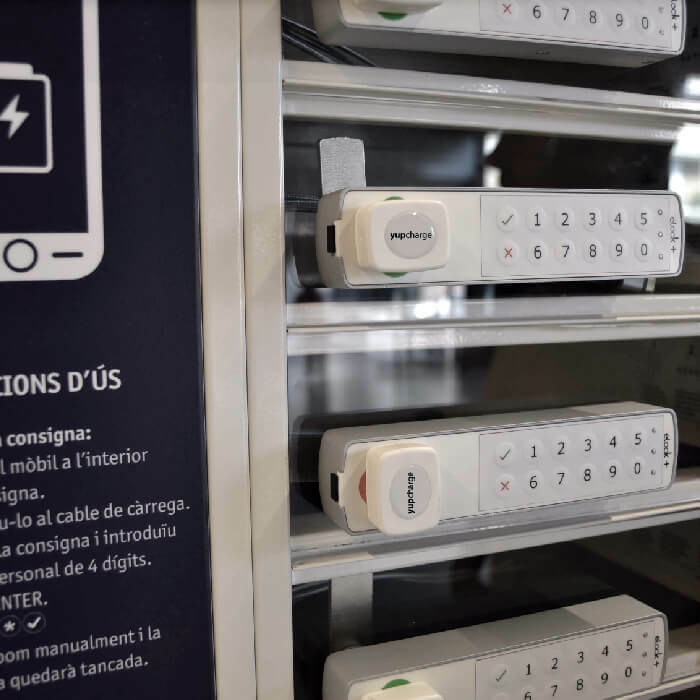 2 Easy maintenance and installation "plug & charge"